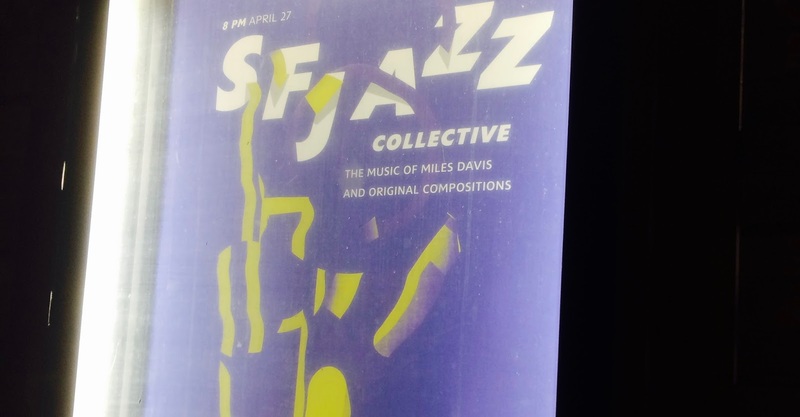 The SFJazz Collective’s concert at the Folly Theater on Friday was the musical equivalent of Major League Baseball’s annual All-Star Game. While it was thrilling to see so much talent in one place, there wasn’t much at stake for the eight celebrated musicians or for the audience of more than 500. As in a nine-inning contest, waiting for a favorite player’s turn in the spotlight on Friday was occasionally taxing. Miguel Zenón, a saxophonist who is among the most important jazz artists under the age of 50, was alotted only two solos during the two-hour performance. Watching him relegated to the on-deck circle as his (worthy) bandmates soloed was immensely frustrating. That’s why drummer Obed Calvaire deserves recognition as the Most Valuable Player. Persistent but never overbearing, Calvaire’s creative timekeeping and strong rapport with bassist Matt Penman ensured that the performance was never monotonous. David Sánchez, a one-time major label saxophonist whose star has faded considerably, demonstrated that he remains vital. Trombonist Robin Eubanks, trumpeter Sean Jones, pianist Edward Simon and vibraphonist Warren Wolf rounded out the bill in the impressive but nonetheless immaterial exhibition. Setlist: All Blues, Milestones, Tidal Flow, Perseverance, Tutu, Off Kilter, Soundless Odyssey, Joshua, Tune For June. Vibraphonist Warren Wolf performs with the SFJazz Collective at the Folly Theater on Friday, April 27. He plays Gary Burton to Alex Brown’s Chick Corea on “Señor Mouse” in the embedded video. The Kansas City Jazz Calendar lists almost two dozen additional gigs on Friday. *Luqman Hamza has died. He was 86. The pianist and vocalist was the subject of Plastic Sax posts in 2007 and 2013. *Logan Richardson leads a band that includes his fellow Kansas City musicians Ryan Lee, DeAndre Manning and Justus West in a Tiny Desk Concert for NPR. *Joe Dimino’s Neon Jazz show has moved from KCXL to KOJH. *From a press release: On May 11, 2010, The People’s Liberation Big Band of Greater Kansas City will perform the ensemble's original score to Sergei Eisenstein’s classic 1925 silent film “The Battleship Potemkin.” Along with a complete screening of "Battleship Potemkin," the People's Liberation Big Band will also accompany two short films as a prelude to the performance... The People’s Liberation Big Band’s score contains a combination of newly composed material, free improvisation, and arrangements of Shostakovich melodies and traditional Russian songs… The performance will take place at the Musical Theater Heritage at Crown Center (2450 Grand Blvd, Suite 301, Kansas City, MO 64108) at 8:00 p.m. Ticket price is $20. 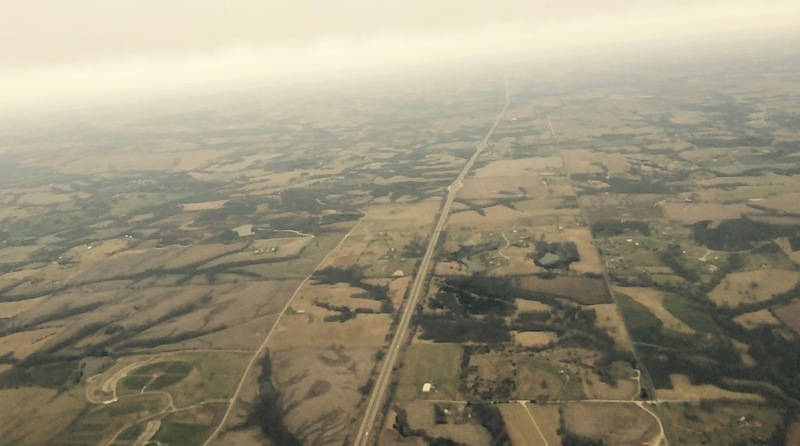 One of the the most confounding aspects of the area’s jazz scene is the relative scarcity of live jazz in Johnson County, Kansas. Although about 600,000 people live in the county that’s adjacent to both Kansas City, Missouri, and Kansas City, Kansas, improvised music in the district is underrepresented on the Kansas City Jazz Calendar. A couple dozen people took in the first set by the trio of trumpeter Stan Kessler, keyboardist and vocalist Jackie Myers and bassist Dominique Sanders at Thee Gin Mill on Friday. 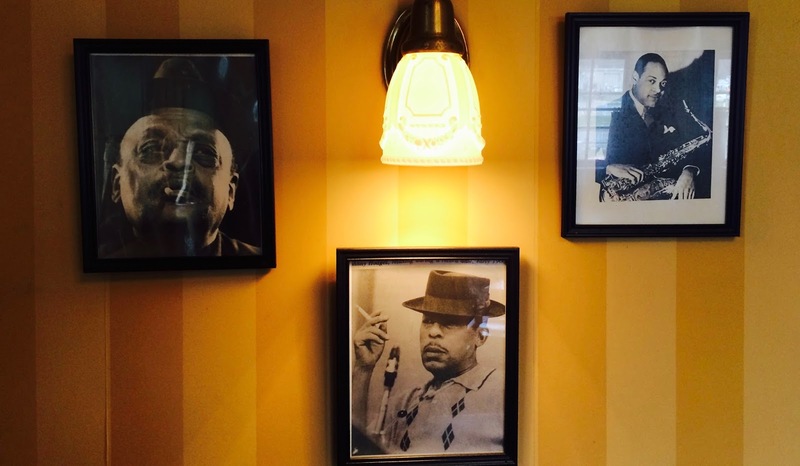 The establishment near the intersection of 135th Street and Roe Avenue recently began booking jazz artists. Service was fast and friendly in the room that’s a few hundred yards north of the Dixieland mainstay the Gaslight Grill. As televisions displayed NBA, MLB and MLS games, the trio entertained on a small raised stage near the entrance. Her vocals on “Ain’t No Sunshine” and “Stars Fell on Alabama” demonstrated that Myers, a new addition to the area, brings a singular talent to the scene. Matt Hopper is a fixture on Kansas City’s jazz scene. The guitarist has 12 gigs scheduled during the next 12 days. 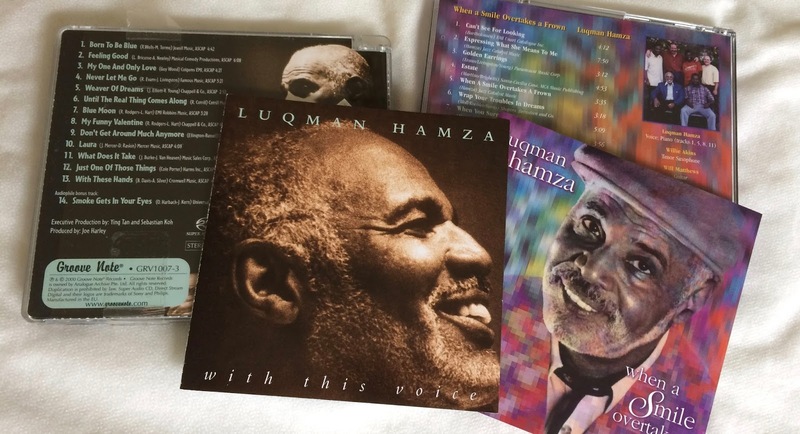 He plays “Set Your Fears Aside,” an enchanting selection from his First Love album, in the embedded footage captured at Green Lady Lounge in 2015. 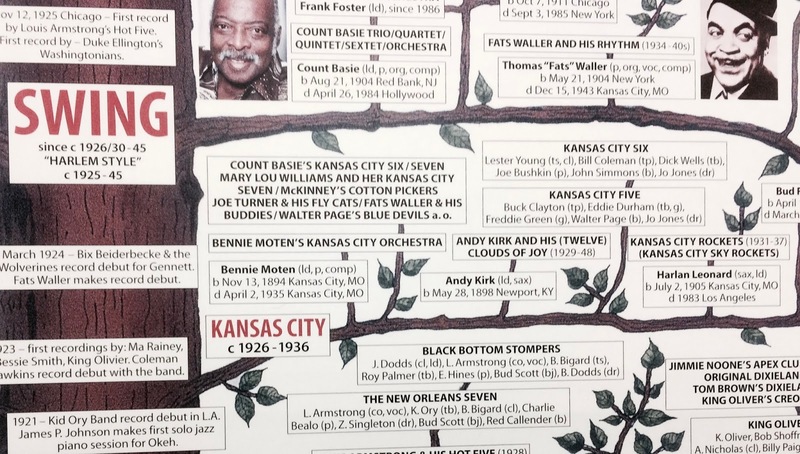 The comprehensive Kansas City Jazz Calendar lists hundreds of additional spring performances. *Pat Metheny was featured by the National Endowment of the Arts in a video in advance of his induction as an NEA Jazz Master. His remarkable acceptance speech is at the 52:00 minute mark of the 2018 NEA Jazz Masters Tribute Concert. *Joe Klopus examines the lineup of the SFJazz Collective in a concert preview for The Kansas City Star. *Kansas City Mayor Sly James commented on the proposed temporary closure of the American Jazz Museum. *“Bando”, a track by the Kansas City group We the People, is now available. *Kamasi Washington will perform at The Truman on October 29. *Jeneé Osterheldt chimed in on the woes of the American Jazz Museum. *Nathan Davis, a saxophonist born in Kansas City, Kansas, in 1937, has died. *Tweet o’ the Week: Tim Burnell- The American Jazz Museum is not a "black" museum. It is an AWESOME museum. *From a press release: The American Jazz Museum and the Mutual Musicians Foundation are teaming up to present activities in honor of International Jazz Day… Swing, Bebop and Beyond celebrates the music and culture of Kansas City Jazz through performances, lectures, film screening, exhibitions, and walking tours… Schedule of Events for International Jazz Day April 30, 2018: Blue Room: 11:00 am – 1:00 pm Jazz Brunch featuring Charles Williams, $5 at the door; 11:30 am – 5:30 pm Walking Tours; Mutual Musicians Foundation: 2:00 pm – 2:45 pm Jazz Hop featuring Tyree Johnson; Blue Room: 3:00 pm – 4:00 pm Jazz Fusion featuring Brad Williams; Mutual Musicians Foundation: 4:15 pm – 4:45 pm The History of the Mutual Musicians Foundation; Mutual Musicians Foundation: 5:00 pm - 5:45 pm Bebop featuring Ernest Melton; Gem Theater: 6:00 pm – 7:00 pm Swing featuring Denyse Walcott accompanied by dancers from Kansas City Friends of Alvin Ailey; Blue Room: 7:00 pm - until 11:00 pm Jam Session featuring Christian Swan; Gem Theater: 7:30 pm – 9:00 pm The Last of the Blue Devils film documentary; Mutual Musicians Foundation: 10:30 pm - 11:30 pm Latin Jazz featuring Pablo Sanhueza and the KC Latin Jazz All Stars; Mutual Musicians Foundation 11:30 pm – Until the sun comes up Late Jam Session featuring James Hathaway. *From Chris Burnett: Italian jazz piano maestro Dino Massa will return to Kansas City in the Spring of 2019 to perform and record with Dino Massa Kansas City Quintet. This is the USA-based modern jazz ensemble Massa co-leads with the Kansas City-based alto saxophonist, Christopher Burnett. Trouble with a bass amplifier interrupted an otherwise flawless performance by Bill Frisell, bassist Thomas Morgan and drummer Rudy Royston at the 1900 Building on Sunday, April 8. Frisell, one of the most consequential guitarists in jazz history, was sanguine about the pause 30 minutes into his trio’s 90-minute outing. He was right. A rapt audience of about 150 had already experienced a dizzying opening salvo highlighted by a deconstruction of Hank Williams’ “I’m So Lonesome I Could Cry” and a masterful demonstration of looping effects. With the technical difficulties resolved, the trio dazzled on selections including a gonzo reading of Thelonious Monk’s “Epistrophy,” a straightforward take on the James Bond theme “Goldfinger” and a tender interpretation of Burt Bacharach’s “What the World Needs Now Is Love.” The outing was the most engaging of Frisell’s several area appearances in recent years. Frisell’s eyes appeared to water as he acknowledged the presence of Jerry Hahn. He said that while it’s common knowledge that Jim Hall and Jimi Hendrix are among his primary influences, he “stole really a lot from” the seminal guitarist with the same initials. Even members of the audience who weren’t familiar with Hahn gratefully applauded him for the role he played in inspiring Frisell’s magnificent talent. The Kansas City City Orchestra will perform at Enercity Swinging Hannover in Germany on May 9. Admission is free at the open-air festival, but locals traveling overseas with the band can buy $20 tickets to preview the event’s headliner at the Lied Center on Tuesday, April 17. The seven members of Hypnotic Brass Ensemble busked in their hometown of Chicago before relocating to New York. 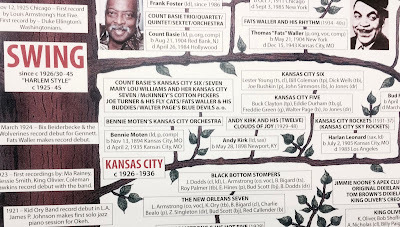 Countless additional area gigs are listed at the Kansas City Jazz Calendar. *The Kansas City Star and KCUR report on a critical analysis of the American Jazz Museum that suggests the institution should be temporarily shuttered and that its leadership structure must be dramatically revamped. Cheptoo Kositany-Buckner spoke to The Star about the study. The Star’s editorial board assesses the situation. *Hermon Mehari is the subject of an extensive profile by Natalie Gallagher for The Pitch. He also led a quartet in a 25-minute Star Session set for The Kansas City Star. *Clint Ashlock and Jeff Shirley were interviewed by Joe Dimino. Shirley was also featured by Debbie Burke. 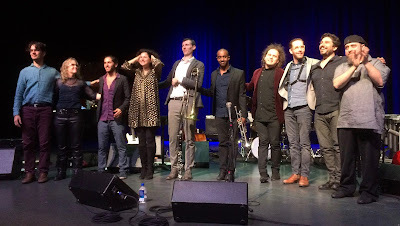 *Anat Cohen’s appearance with the KU Jazz Ensemble 1 was reviewed by Jessie Riggins. 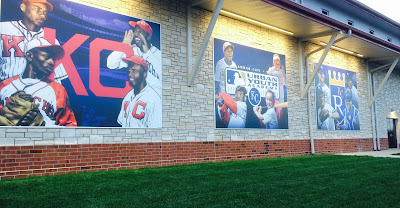 *The Kansas City Star examined a couple key players in a battle for the future of the Jazz District and reported on a controversial piece of legal wrangling. *Stephen Martin was featured in UMKC’s student newspaper. Anat Cohen threw her head back and placed a hand over her heart as trombonist Nick Fitzer took a stirring solo at the Gem Theater on Saturday. Her ecstatic response was justified. The transcendent 100-minute set by the Israeli clarinetist and her Tentet seamlessly shifted between jazz, klezmer, psychedelic rock and Brazilian and Malian folk musics. An audience of more than 200 took in the global sound that was imbued with a mysticism that verged on holiness. While the repertoire was based on Cohen’s 2017 album Happy Song, the concert was significantly more boisterous than the lively recording. Specific artists were occasionally evoked- Benny Goodman’s “Oh Baby” was given a wild reading and a couple segments recalled Jimi Hendrix’s Electric Ladyland- but the most rapturous portions of the evening combined disparate styles to create entirely new sounds. Cohen, 38, has been working toward the auspicious synthesis for most of her wide-ranging career. She surrounded herself with an international cast that included the Albanian cellist Rubin Kodheli, the Israeli bassist Tal Mashiach, the Kansas City trumpeter Hermon Mehari and the Brazilian pianist and accordionist Vitor Gonçalves and on Saturday. The singular collaborators allowed Cohen to achieve a panoramic sound that avoided the contrived approach of academic exercises and the mushy sentimentality of misguided musical do-gooders. cheerful version of Eric Dolphy, Cohen surpassed the achievements of like-minded predecessors including Gil Evans, Charlie Haden’s Liberation Music Orchestra and Gunther Schuller. Ben Allison & Think Free perform at the 1900 Building on Saturday, April 7. The bassist’s all-star band includes trumpeter Jeremy Pelt, guitarist Steve Cardenas and drummer Allan Mednard. The Kansas City Jazz Calendar lists more than two dozen additional gigs on April 7. *Joe Klopus previewed a forthcoming concert by the Anat Cohen Tentet for The Kansas City Star. *High school trombonist Robert Traphagan was featured in a television news segment. *The Project H’s new Star Sessions performance at the Blue Room streams here. *Footage of a sixty-minute recital featuring Matt Otto leading a band in a performance of material from the 2017 album Ibérica has been uploaded to YouTube by Beau Bledsoe. *A bit of history was uncovered in the Jazz District. *From Matt Chalk: I'm bringing my band out from New York next week to do some gigs across the midwest and we're stopping in KC for two nights. On Thursday, April 5th we'll be doing standards at the Intercontinental Hotel on the Plaza from 7pm-11pm. Then on Friday, April 6th we're at the Black Dolphin from 8:30pm-12:30am performing a ton of my brand new music for Quartet. This music fuses and expounds upon the traditions of 20th century French classical composers Ravel, Messiaen, and Dutilleux and American jazz ensembles led by Coltrane and Shorter... We have Marko Churnchetz (Slovenia) on piano, Myles Sloniker (US) on bass, and Francesco Ciniglio (Italy) on drums. Charles Williams once provided a sophisticated soundtrack for diners at a revolving restaurant atop Kansas City’s skyline. While the ritzy establishment Skies was shuttered in 2011, the pianist’s new album Flavors of Jazz verifies that his elegant sound is flourishing. Williams is now best known as the pianist of the Kansas City Jazz Orchestra and for playing jazz-tinged R&B in a band that features vocalist Ron Gutierrez. The instrumental Flavors of Jazz explores the fertile terrain between mainstream swing and soulful party music. Bassist DeAndre Manning and drummer Mike Warren join Williams on the set of catchy original compositions and familiar melodies. The band dresses the Lennon and McCartney composition “Yesterday” in church clothes and captures the ethereal beauty of Benard Ighner’s “Everything Must Change.” A reading of “Miss Celie's Blues,” a song composed by Quincy Jones and Rod Temperton for “The Color Purple,” is even more engaging than a bluesy interpretation of the Michael Jackson smash “Billie Jean.” Only the inclusion of the overexposed “Wonderful World” seems unnecessary. Skies may be a distant memory but Flavors of Jazz is capable of transporting imaginative listeners to a formal but funky cocktail party. 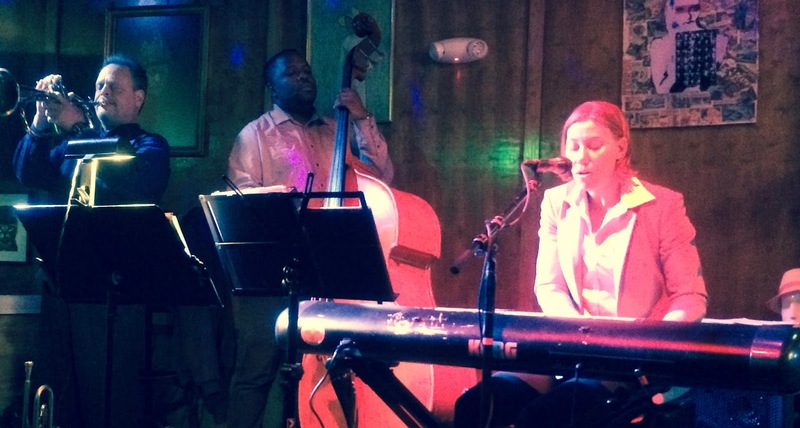 The Blue Room will host the official album release show for Flavors of Jazz on April 14.